Our plan was to write a report of all the green cars at the Detroit motor show, but we couldn’t do it. Mission impossible. Electrics? There wasn’t a single new electric car in Detroit. Plug-in hybrids? There wasn’t a single new plug-in hybrid in Detroit, nor any new standard hybrid. Toyota’s the world leader in hybrid tech, but its FT-1 concept wasn’t a hybrid. Is this the death of electric mobility? It may be worse than that, because it was the green car which was absent from Detroit. BMW has downsized the engine of its latest M4, going from a 4-liter V8 to a turbocharged 3-liter six, but Lexus has chosen to go the other way. 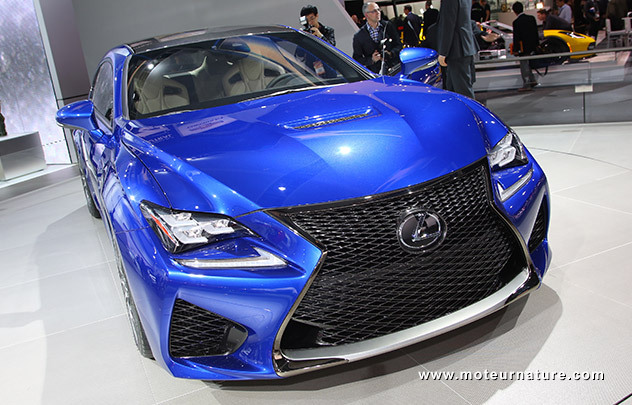 It will compete against the M4 with the Lexus RC-F (above) which has a big 5-liter V8. 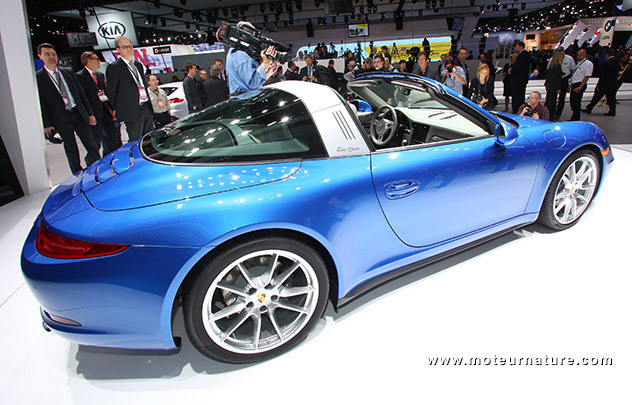 The best car of the show was probably the new Porsche 911 Targa (top picture), but the biggest news was the new Ford F150 (above). 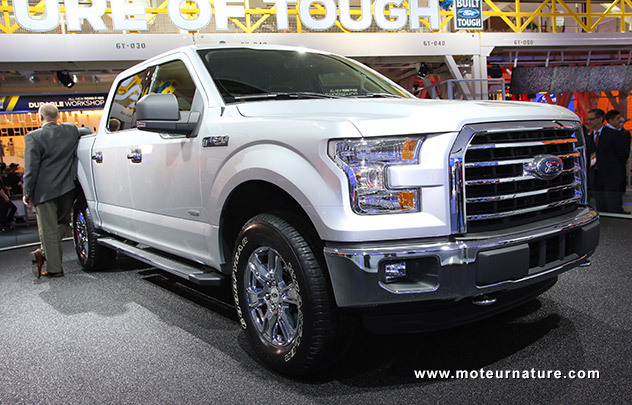 Ford proudly says that this new generation is 700 pounds lighter than the old one, and that may be true, but despite this progress, this vehicle is dead wrong. Car or truck, the beltline is supposed to be around belt height, but on this beast, top of the hood is above chest level: this is wrong! So without electrics nor green cars, the best of Detroit was probably the ladies. On the very moment that there’s proof that climate change is real, with temperature records broken everywhere (cold in the U.S. and heat in Australia), Detroit chooses to ignore it. What a missed opportunity!